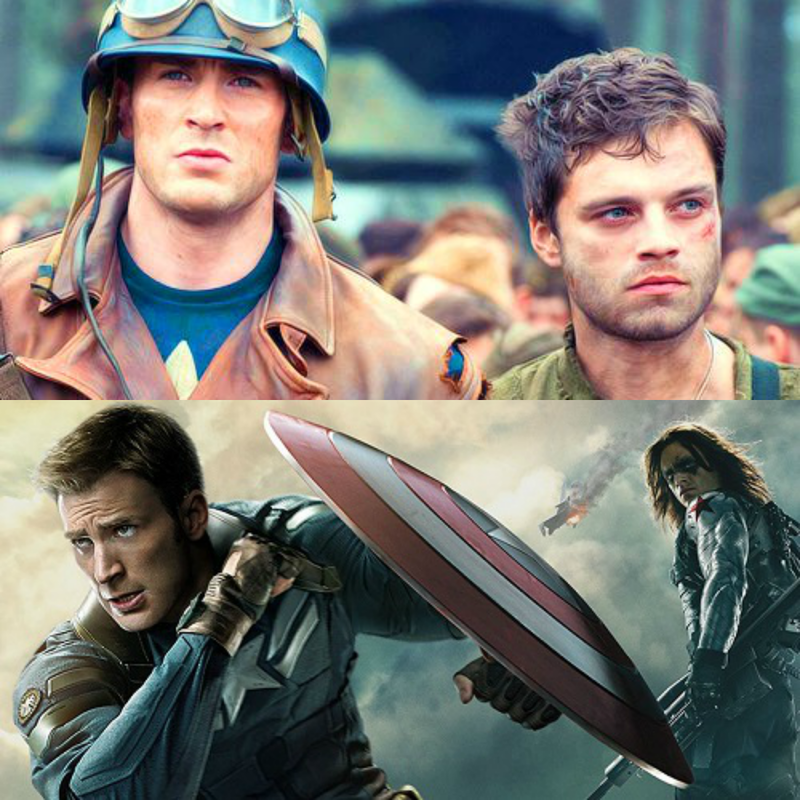 Captain America and Bucky Barnes: Since when isn’t friendship enough? I’ll start this post by saying this: I have never read any of the Marvel comics, nor do I intend to. My only links to superheroes when growing up were through the old Superman TV show, and the cartoon versions of the X-men and of Justice League. I have never been drawn to comics despite enjoying their stories when I get to see them on the big screen, the art just isn’t my cup of tea. So anything that follows is purely about the MCU, because that’s all I know. 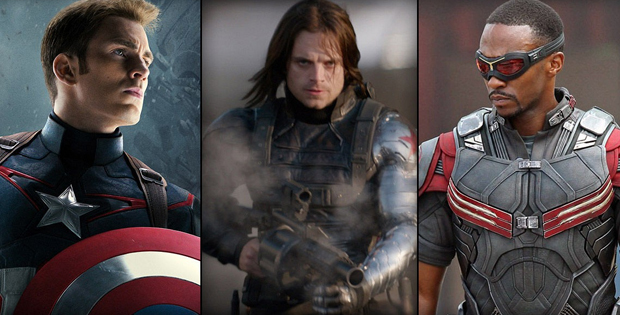 I know Captain America and the Winter Soldier only through the means of the movies and as such any commentary I make is based on these characters and not those in the comics. Okay, now that we’ve got that out the way, let’s get on with what I actually want to talk about: Steve Rogers and Bucky Barnes. Ever since Civil War came out, hell, ever since there were the first whispers of what Civil War was going to be about, I have seen a plethora of people (dare I say it, most of whom were women) ship Cap and Bucky as an item. I have seen those that have gone further still and claimed that it ought to be canon and that it would have made Civil War a stronger movie if this had been about Steve’s love for Bucky. In an ideal world I should be able to say that and everyone would see why no, Bucky and Cap shouldn’t be our Avengers gay romance ™. But unfortunately this isn’t an ideal world and there are countless people who thinks that, as it would be (very very very) nice to have a gay romance with so many guys kicking about, Bucky and Cap are the only candidate for the jobs. Now here is my take on why that’s not the case. Since when isn’t friendship enough? This is my first question to all you people who say Civil War would have been better with Cap being in love with Bucky. It’s as though suddenly friendship doesn’t matter, as though even a friendship as deep as theirs is irrelevant on an emotional level. It’s saying we, as the viewer, will not get emotionally invested in a story of friendship. Personally I don’t get it. I love reading/watching stories of friendships as much as I do those of love because, let’s face it, friendship is as complex and inherent part of life as love is. I see people everywhere saying that we need to see more stories of female friendships, that stories of friendships are important. Imagine now what would happen if people started to ship these female friends as lesbian lovers all of a sudden, banging their fists yelling it ought to be canon. What would be the reaction? Outrage. The women (and men) everywhere who have asked for these friendships to be represented would be furious that the deep bond in between friends could not be portrayed without people assume it had to be something else. And I won’t say that people assume it was something more because that is implying that love is greater than friendship and I don’t think it’s so easy to define those things especially when they can so easily cohabit. But this is why is happening to Bucky and Cap. 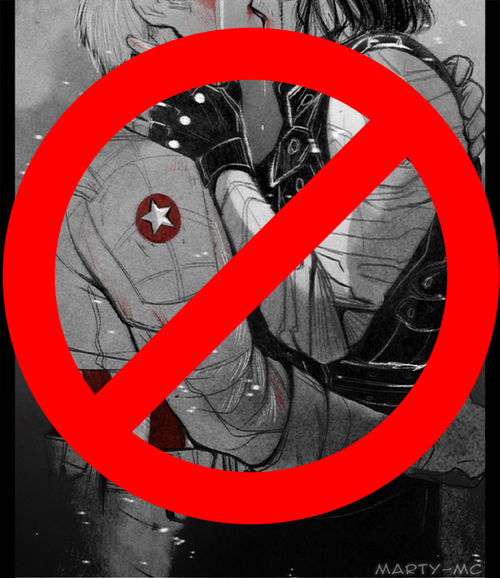 This is what I have seen happen for years to any two male characters that happened to be very close friends (Tumblr is full of people who want to see Dorian and Choal from The Throne of Glass series end up together and I saw far too many people refer to the anime Free! as ‘gay swimming’ when it is a tale of close, deep friendships in between boys). Whereas female friendships are not often enough represented and therefore clamoured for, male friendships, when presented on more than just a ‘comrade’ level are often turned into something else. It is almost as though two guys can’t possibly be that deeply emotionally involved with one another without it not really being friendship but in fact being in love. I say in love because you can love your friends. And it is still love, it is just not being in love. It’s an important distinction, especially in the context of this discussion. Anyway, back on topic. What message does this deliver to boys everywhere? That deep friendships will not be taken seriously, that if you do have that deep friendship with someone everyone is going to assume you two are actually boyfriends and just not saying. That leads to what we accuse boys of not doing enough, of what we say patriarchy has taught them to not do: it stops them expressing their emotions. I have close friends in my life, but that doesn’t mean I’ve been in love with them, even though I have loved them to bits. And there is this risk that if you dare to express that depth of friendship for the world to see, people are going to warp it, make it into something it isn’t. And so boys hold their feelings in, hold the potential deep friendships at bay in terror of how it may be perceived as. Now I know some of this is done because we seek more representation and there are far too few gay characters in the limelight (See the blog post I wrote the other week). But stories of deep, complex, lasting friendships are just as important. 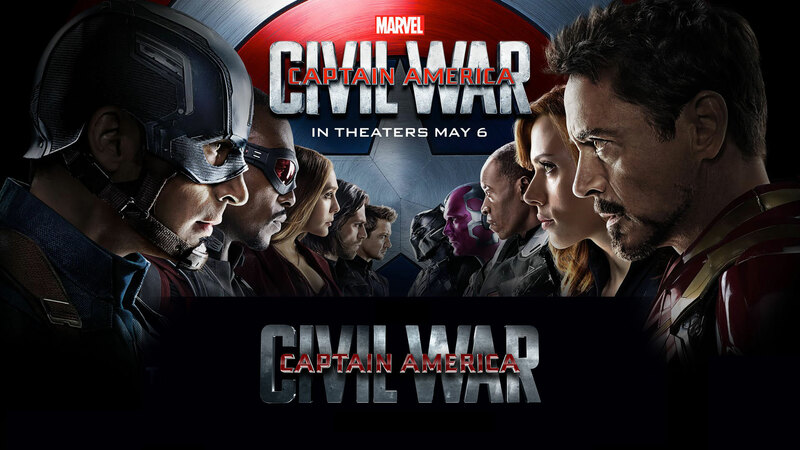 Boys of all ages that go to see Civil War need to see that being friends with someone to that level, to the ‘I-will-stand-for-you-against-the-world’ level is a good thing. That it brings out the best in these friends, that it makes them work together, that this kind of friendship will withstand the test of time. They do not need to see being made into a ‘they needed to be in love with each other’ rhetoric. I have seen female friends ship two male friends together because of how deep their friendship went. I’m not kidding you. This is a thing that people I know have done. Why? Because ‘look how close they are it must be love’ has become as normal an argument to ship two guys together as it had been before to turn most deep girl/boy friendship into love and not simple friendship. And as sick as I am of that trope with heterosexual couples (because it is damaging to these kinds of friendships which are portrayed to always involving to being in love), I find myself offended by the homosexual use of it. I don’t see it done with girl/girl friendships although that may be because that’s not where my sensibilities are immediately drawn too, or maybe it is because the culprits of shipping people like Cap and Bucky together are usually women who are also strong advocates for female friendships and will therefore leave these untouched. I sort of understand people shipping them for the aesthetic (although I am incapable of shipping two people who are actually not showing any signs of being that way inclined together?!). Two guys together are hot, I’ll never deny that. But when people start to say it should be canon, start to say it would have made the movie better, when what we are given is probably by favourite friendship in the history of super heroes? Well that’s when I start having problems. So instead of shipping best friends together, why don’t we ask ourselves who else might be interesting to ship together, and who might have the 0.00000001% chance of being canon (because let’s face it, Marvel can’t even give us a decent hetero romance so we ain’t about to get a gay one—and I would take no romance at all at that point and more kickass female characters to join the cast over romance any day). Not that I think there are any characters that would mesh well as lovers in the current cast (and that include straight romances either) but that might just be because of how the characters have been written. So yes, I do not want to see more gay characters on the big screen, in blockbuster superheroes movies, because that kind of representation would be phenomenal. But it’s not going to happen yet, which is sad. And if it does happen, I really hope it doesn’t steal from a pair’s deep friendship, because that would be equally as tragic. So ship away if you’re in just for the aesthetic but maybe next time you start saying that it should be canon, think about the message you are really broadcasting to the world.